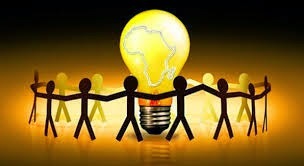 One of the greatest challenges of the 21st century is the production of sufficient energy to power the economies of both the developed and developing world at the same time access of electricity to all. Fossil fuels –coal, oil and natural gas- will continue to supply most energy through at least the first half of the century. However, declining reserves of fossil fuels, increased demand due to elevated population numbers, and environmental constraints will challenge human ingenuity in providing alternative sources of energy. Hence, the switching to renewable energy isn’t just the best choice for us; it’s our only option to retain our existence on this planet. According to the IEA’s World Energy Outlook (WEO) 2009, production from known oil and gas reserves will fall by around 40-60 per cent by 2030. Yet the developed world’s thirst for energy is unabated, while demand is rocketing in emerging economics, such as China, India and Brazil. If everyone in the world use oil at the same rate as the average Saudi, Singaporean or U.S. resident, the world’s proven oil reserves would be used up in less than 10 years, as evaluated by BP, Statistical Review, 2010. More than 1.4 billion people worldwide (a fifth of the world’s population) still have no access to electricity, and 1 billion more only have intermittent access as proclaimed by UNfoundation.org. Some 2.5 billion people – almost half of humanity – rely on traditional biomass for cooking and heating; it’s very unfortunate in 21st century where we are planning for everything but forget about basic human right i.e. electricity. The way we produce and use energy today is not efficient and sustainable. In the developing world, regional and local desertification is caused by depletion of fuel wood and other biomass sources that are often used very inefficiently causing substantive in-door pollution. The lack of electricity results in less growth and fails to provide basic services such as health care and education. Due to polluting and inefficient cooking, lighting, and heating devices kills nearly two million people a year and causes a range of chronic illnesses and other health implications. United Nations Secretary – General Ban Ki-moon’s Advisory Group on Energy and Climate Change – composed of global business leaders and heads of UN agencies – has called a major UN initiative to achieve universal access to modern energy services by 2030. UN-Energy – a collaboration of 20 UN agencies – will lead the effort. Going forward as per The World Bank estimates, we will need a massive effort to expand access to electricity and safe cooking fuels in 20 countries in developing Asia and Sub-Saharan Africa. About 80% of those without access to modern energy live in rural areas. The pace of expansion of electricity access to people will have to double to meet the 100 per cent access target by 2030 considering the growth rate of population. To bring electricity to that one billion plus people using conventional energy sources would increase global carbon dioxide emissions by less than one percent. A new multi-agency study, led by the World Bank and the International Energy Agency, was presented at the Vienna Energy Forum 2013. The Global Tracking Framework report charts the course to achieve universal energy access, double the use of renewable energy and improve energy efficiency. The main highlights of report are depicted below. Twenty high-impact countries in Asia and Africa account for about two-thirds those without access to electricity, and three-quarters of those who use solid fuels-wood, charcoal, animal and crop waste, and coal to cook or heat their homes. “Access to secure, clean, and affordable energy is fundamental to improving the lives of people across the world. The goals of SE4ALL are important and we must seize this opportunity to make a better future”, as mentioned by Dr. Christoph Frei, Secretary General of the World Energy Council. Most of us take energy for granted as a basic right and consume electricity without having knowledge of effects on poor people around the world who don’t have such privilege of easy electricity. Wasteful use of electricity reduces their chances of getting an education and earning a living. As energy prices increases, the world’s poor will continue to be excluded and penalized by way of unfavorable living standards. Finite and increasingly expensive fossil fuels are not the answer for developing countries rather renewable energy sources offer the potential to transform the quality of life and improve the economic prospects of billions. With the world’s population projected to increase to over nine billion over the next 40 years, there would be catastrophes if we adopt the same lifestyle in future. We must appreciate the initiatives carried out by The UN Energy agencies and The World Bank Energy Council for their seamless efforts towards a goal of Sustainable Energy for ALL (SE4ALL), a right step in right direction for betterment of society. As an electricity consumer, we also should contribute to these initiatives by efficient use of conventional electricity as well as exploring the alternate energy sources like wind, solar, etc.